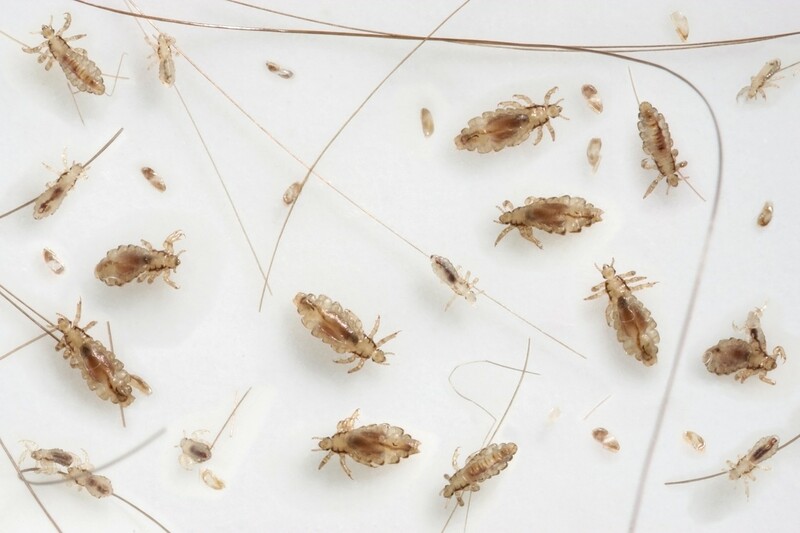 Lice have been around a long time and probably are one of the first “pests” for which the pest control industry was created. History has documented the practice of lice control over 4000 years ago. Though easy to kill, lice are stubborn and persistent. Like bedbugs and fleas, lice live on blood and other bodily fluids which mammals produce. Unlike bedbugs and fleas, lice need to live on their host. This makes them all the more offensive; the thought of a louse occupying our children’s head is intolerable. There are many old wives tales about this insect as well as too many products to choose from when confronted with the task of lice control. This article will dispell some of those myths and offer a practical program for any one who needs to get a lice problem resolved. The products listed at the end of the article are the cream of the crop; they will allow you to get control of any infestation quickly and safely. There are more than 1000 species of lice world wide but in general, only a few which are active on people or pets. Most lice are animal specific but its not unusual for a species yet its not uncommon to find any one person with different types of lice on them. They might have a combination of pubic lice along with head lice. Both species will coexist and even though they prefer certain body regions they will migrate and feed in other areas if the environment is right and food plentiful. Lice obtain their food by either chewing or sucking. 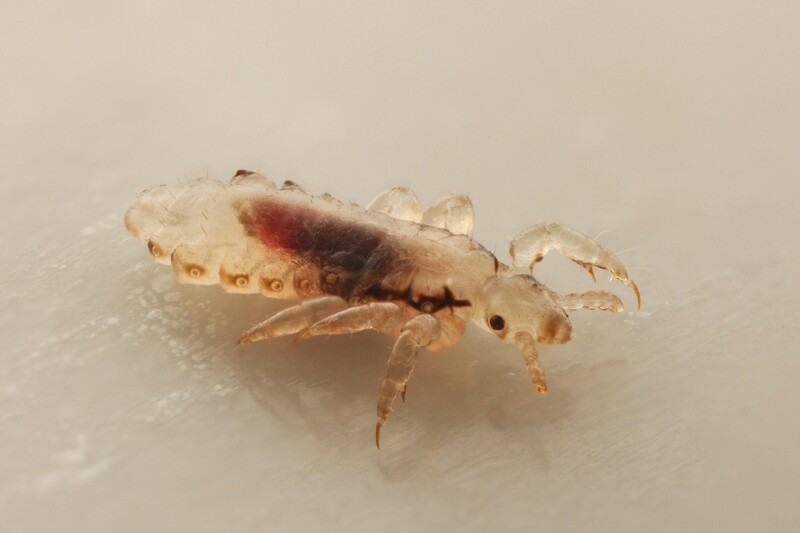 The most common lice which humans encounter are head lice, body lice and pubic lice (crabs). These are all sucking lice. Chewing lice rarely infest humans and most reported incidents stem from people who work in close proximity to animals which have chewing lice on them. The life cycle of a louse can be quick. Eggs hatch on furniture, rugs, bedding or hair follicle and immediately search for food. There is a strong glue which binds the egg to the hair but if their isn’t blood close by, the hatching young will lay waiting for a target. Now when eggs first hatch, the young is referred to as a nymph and will begin to feed immediately. This stage goes through 3-4 instar stages before reaching adulthood. At that time when females become adults, they will begin to produce eggs and new life cycles get established. The time span it takes a newly born louse to grow to adulthood will vary with each species. Head lice young generally take 7-14 days to mature and once adult, live about a month. During that time a single female will lay about 100 eggs. Crabs or Pubic lice take about twice as long to mature – generally about a month – and adults will live another month with females laying about 50 eggs before they die. Body lice will take about a month to fully develop as well and once mature will live another 30 days. Females of this species will lay 300 eggs or more during her adulthood. All species of lice can feed on human blood. 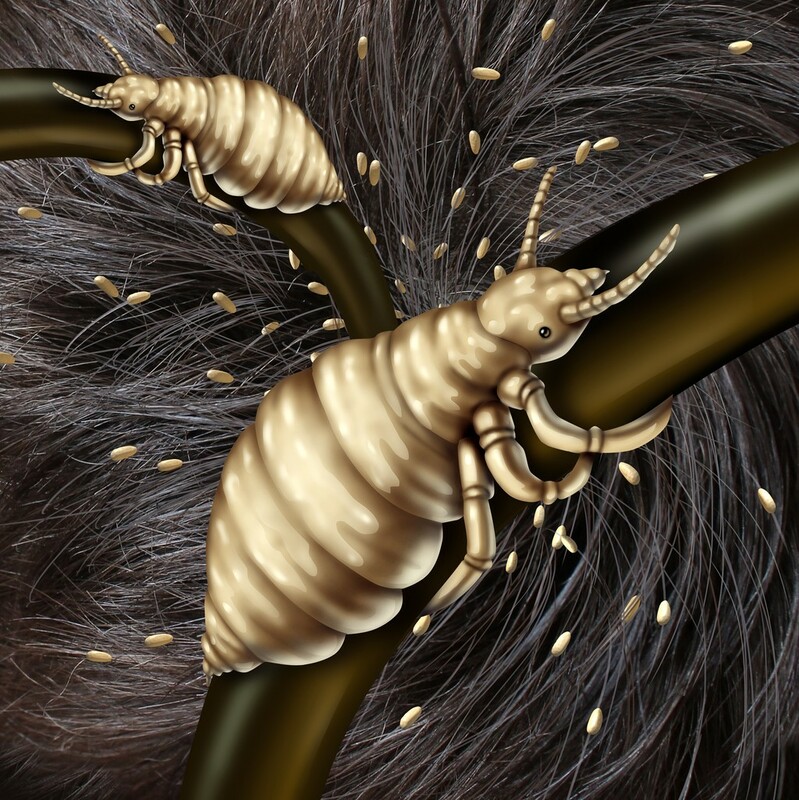 Head and pubic lice live in the scalp or pubic region among human hair and body lice actually live in the clothing and bedding of the individual on which it feeds. Though the individual may change clothes the body louse is able to live a lot longer away or off the host as does it’s eggs so that they can prosper even if not in close contact with food for extended periods of time. 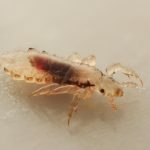 Over the years there has been considerable debate about certain characteristics lice display as to why that might happen along with quite a lot of old wives tales which are just not true. Here are some of the common misconceptions as well as truths which you need to know if confronted with a local infestation. 1) Lice only infest the poor or unsanitary people of any one society. NOT TRUE. Any one can get lice. Adolescent girls are among the highest risk of getting pubic lice as are men over 30. Head lice is clearly most common among school children and body lice seems to be most prevalent where people are forced to huddle together closely and wear lots of clothes continuously. 2) Washing your hair will remove head lice. NOT TRUE. Though keeping your head clean is important when trying to prevent lice, shampooing alone will not kill them off once the hair is infested. Head lice and more specifically their eggs (nits) have a good ability to hold on with their strong legs and claws and eggs are laid with an epoxy-like glue which keeps the nits attached to hair during normal washes. 3) Getting close to anyone will allow the lice to “jump” from that person onto you. NOT TRUE. 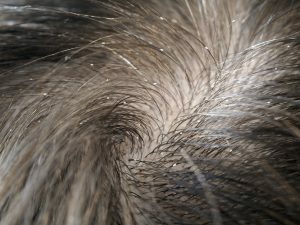 Though lice do move well within the hair they reside, they are not designed nor inclined to “jump” from one person to another (physically they cannot jump either). 4) A case of Pubic Lice means you have “been somewhere dirty” and are now paying the price for this behavior. NOT TRUE. Though you can get pubic lice from intimate sexual contact, there many other ways it could have happened. Do not conclude misconduct has occurred just because you or someone you know develop an infestation. 5) Lice have built up resistance pesticides so we can’t kill them. NOT TRUE. Lice today are just as vulnerable to Pyrethrin or Pyrethroids as they were when these products were first introduced. 6) Lice are a transmitter of disease. TRUE. Lice have long been known to carry all kinds of disease including Typhus, Relapsing Fever and Trench Fever. This is probably the main reason lice are scorned and hated. Napoleon met defeat in Russia due to Typhus which was transmitted to over half his army of 500,00 during the invasion. Over 200,000 of them died during that time from Typhus which was transmitted by lice. 7) Lice are hard to control. TRUE. Though it is easy to kill adult lice its more complex to kill their eggs and keep them from coming back. This is due to the nit’s shell which protects them from pesticides and other treatments. Removing the nits from the infested hair is critical to resolving the infestation and needs to be done for complete control to take place. 8) You can get lice from someone’s comb, hat or other clothing. TRUE. In fact this is the most common source of lice transmittal. Head lice and body lice are most likely to find more people to feed on via clothing, furniture, bedding and personal objects like hair brushes and combs. One of the biggest problems with lice is getting them off your hair. Shampoos alone won’t do the job. Both adult lice and their eggs “nits” are skilled at holding onto hair. This allows them to keep coming back even after you think you’re purged yourself with a good shower. To speed up the process, use LICE GONE ENZYMAL RINSE. This unique formula works by breaking down the epoxy-like glue lice use to attach eggs to hair. By breaking the glue down, they’ll rinse away and in turn, enable you to break their cycle for good. Lice Gone does not use any chemical so you can use it as often as is needed. Generally 1-2 oz is enough for short hair so one 8 oz jar will be enough for several applications. Shampoo with this daily until the problem is resolved. Especially if you’re living in a lice infested environment. If someone has brought lice home, you need to treat carpeting, furniture and bedding to ensure they don’t get established. You should also use a repellent on their clothing when they go back to the infected area to ensure they don’t bring more home. If you don’t yet have lice but have heard reports of an outbreak at your child’s school and want to take preventative measures, apply AQUACIDE to their clothing and book bag before they leave for the day. Aquacide uses a pyrethrin based mist which is highly repellent to pests like lice, bedbugs, fleas and more. It can be applied daily and directly to clothing and won’t pose a hazard to people or pets. You can even spray bedding, furniture, mattresses, etc. To treat, lay clothing out on the floor or carpet and from 3-4 feet above, quickly wave the can over the surfaces of the garment all the while releasing product. For a pair of shorts, this should take just 3-4 seconds per side. For pants, 5 seconds per side. Once lice are brought into the home, you need to treat carpeting and furniture with a residual product to ensure they don’t get established in your home. 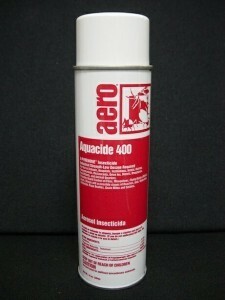 The Aquacide aerosol above can be used for spot treating as needed. But for long term control, apply LICE KILLER AEROSOL. This can contains a few ingredients so it will both kill immediately but also provide residual. 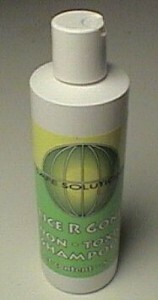 Lice Killer is safe enough to be applied to furniture, carpets, place mats and bedding. Lice Killer is water based so it won’t stain or discolor fabric. And for the most part, its considered low to no odor. If you plan on treating the whole house or if there is a history of body lice, a liquid residual will prove better compared to an aerosol. DEFENSE SC is a low odor time released material that will last 1-2 months per treatment. Mix .75-1.5 oz per gallon of water and plan on treating the mixture over 1,000 sq/ft. Defense is odorless and can be applied to carpets, furniture, drapery, bedding and mattresses. Since body lice lay eggs that can lay dormant for months, its helpful to have a product in place that can work when larva emerge. Use a good PUMP SPRAYER to apply the Defense. Clothing, linens, bedding and other loose washable items should be washed in hot water using KLEEN FREE LAUNDRY WASH. This additive is not a pesticide but like the Lice Gone listed above, it works by removing eggs and adult insects from infested fabric. Using special pentrating enzymes as “active” ingredients, Kleen Free will loosen the binding glue used by insect eggs and their related stages. Kleen Free can be used as a “soak” by mixing 2 oz per gallon of water. For wash cycles in a machine, add 4-6 oz per wash. Use as frequently as is needed until the problem is resolved and no longer active.